TAMPA: Be Among The First To See THE GIRL IN THE SPIDER’S WEB!! Are you ready to see an advance screening of THE GIRL IN THE SPIDER’S WEB? Check out the trailer above. Passes are limited, and once they’re gone, they’re gone. 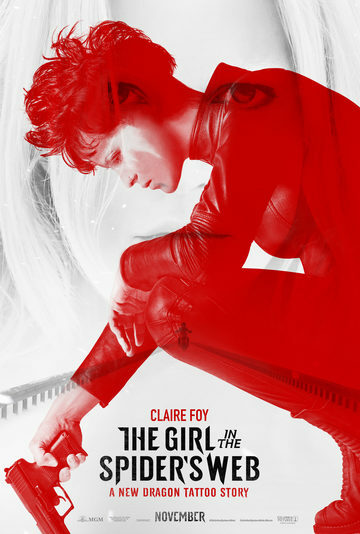 The screening for THE GIRL IN THE SPIDER’S WEB is on Wednesday 11/7/18 at 7pm at AMC Westshore. Now, let’s get to the interactive portion of the contest: This one is a RAPID FIRE GIVEAWAY!! 9. Search “The CineSportsTalk Podcast Network” wherever you listen to your podcasts and subscribe, like and rate! 10. Make sure you download your pass. 11. If you don’t think you will be able to make it, please do not enter (if this is a contest and not a giveaway) as it is unfair to those that can definitely make it. 12. Seating is limited, so arrive early. Pass does not guarantee a seat at the screening. 3. Make sure to arrive EARLY! These passes don’t guarantee you seats as this is on a first come, first serve basis.